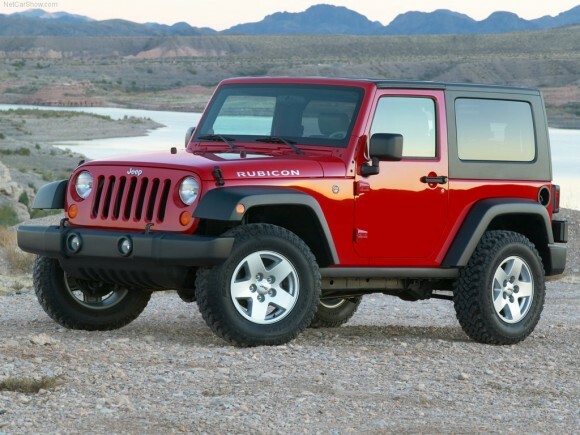 The Jeep Wrangler is one of the most recognizable vehicles on the planet. Anyone can spot one from a mile away, and the original idea has even been historically copied the world over by the British, the Japanese and the Indians. Of course, when it made its mark internationally, it wasn’t even called a Wrangler. Or Jeep, for that matter. During what was just the beginning of World War 2, the United States military wanted a generic new vehicle to replace its fleet of aging motorcycles and civilian-converted vehicles. So in 1939, they invited as many as 135 different automotive companies to compete for a contract to build a new vehicle for the military. The vehicle had to meet certain specs, such as a payload capacity of 600 lbs, a wheelbase under 75 inches, a fold-down windshield, a gross vehicle weight of under 1200lbs, and mandatory four-wheel drive. Only three companies entered, namely Bantam, Willys-Overland, and Ford. By 1940, Bantam had a working prototype called the Bantam Blitzbuggy. Willys-Overland came up with the Willys Quad, while Ford created the Ford Pygmy, which were basically clones of the Bantam car. Willys eventually won the contract because of their 60 hp “Go-Devil” engine, but Ford was also given a contract to build additional vehicles to keep up with the military’s enormous WW2 demands. Willys later renamed their vehicles the MA and the MB, while Ford called theirs the GP and the GPW. Eventually they were all known as Jeeps. No one actually knows where the “Jeep” name came from. Some people believe that it evolved from the Ford ‘GP’ designation, which many think stood for “general purpose.” In reality, “G” stood for Government and the “P” was a random designation for the vehicle class that included 80-inch wheelbase 4×4 quarter-ton trucks. In 1942, Ford built a limited number of amphibious Jeeps, known as the Seep. This little vehicle was basically a Willys MB with a boat tub on the bottom and included cutouts for the wheels as well as a propeller. These were best for crossing rivers and lakes, but not marine warfare. The civilian CJ series began back in 1945 with the CJ2A. In fact, “CJ” supposedly stood for “Civilian Jeep.” Next came the CJ3A and the CJ3B models, which were produced until 1968. These early Jeeps are commonly referred to as “flatfenders” because their non-protruding front fenders were flat across the front and inline with the grille. There was also a single 1951 CJ-4 prototype that provided the basis for the first round-fender CJ-5 under a company called Kaiser. The CJ-5 debuted in 1954 as a civilian version of the military’s 1952 M-38A1. The CJ-5 stayed in production for almost 30 years, longer than any other Jeep model, and was finally taken out of production in 1983. During this time, there were also limited-production military and civilian CJ-6 models with a 101-inch wheelbase and later a 104-inch wheelbase. The Jeep nameplate was owned by AMC by the mid-1960s, taking over from Kaiser’s mismanagement. 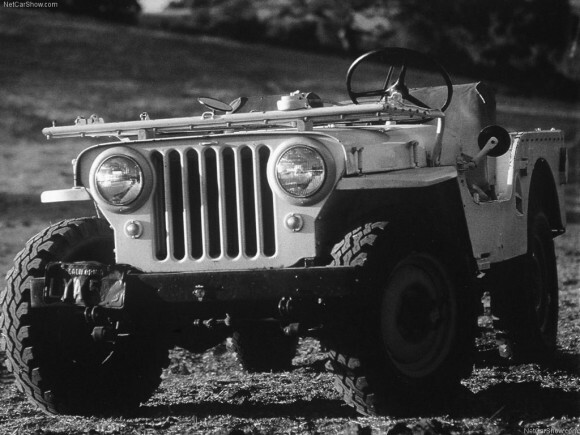 In 1956, Jeep began making the 2WD Postal/Dispatch Jeep, known as the DJ. 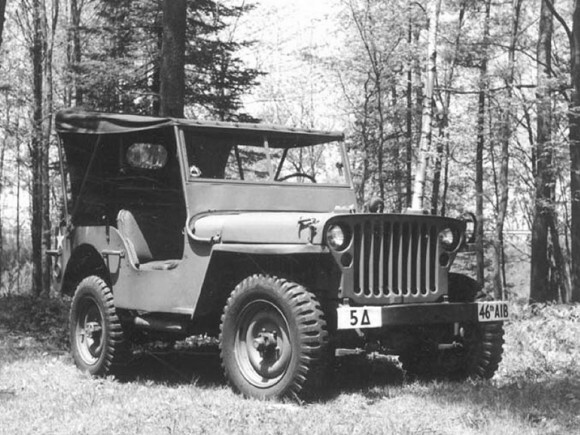 The DJ-3A was the first Postal Jeep and was a flat fender Jeep similar to the CJ-3A, but only with two-wheel-drive. In 1965, the DJ-5 came into being, which is the postal Jeep most people are familiar with today. The DJ-5 continued under Jeep well into the early 1970s, and production later continued under AM General, makers of the Humvee.